PM Netanyahu to make historic visit to Lithuania tomorrow as part of rowing ties with eastern European nations. 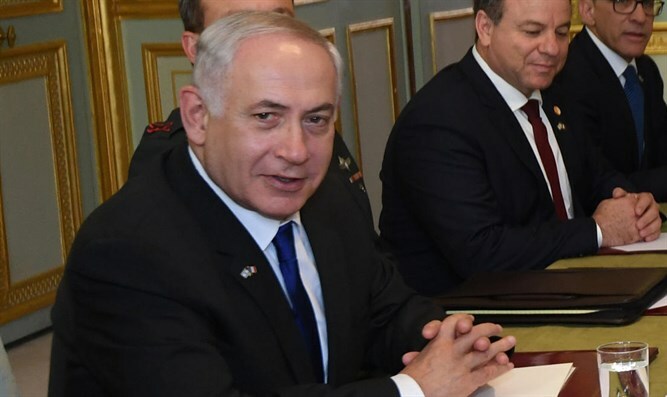 Binyamin Netanyahu will on Thursday become the first Israeli prime minister to visit Lithuania, where he will hold talks with the leaders of the three Baltic countries. Netanyahu's trip comes as he seeks to improve ties with eastern European countries who may be more sympathetic to Israel in international bodies than other EU nations. He will meet the leaders of Lithuania, Latvia and Estonia together during his visit, which will last until Sunday, according to an Israeli official. Netanyahu is constantly seeking sympathetic ears within the EU, particularly among countries that can serve as a counterweight to the criticism Israel often receives from western European nations. He has also been eager to convince European countries to exert more pressure on Iran after the United States pulled out of the nuclear deal between Tehran and world powers and reimposed sanctions, as he had advocated. European countries have sought to rescue the deal, saying it is working as intended in keeping Iran, Israel's main enemy, from obtaining nuclear weapons for now. Separately from the Baltics, Netanyahu has found common cause among eastern and central European countries with nationalist leaders, notably the so-called Visegrad Group of Poland, Hungary, Slovakia and the Czech Republic. During a visit to Hungary last year, he denounced "absolutely crazy" EU demands of Israel in closed-door remarks picked up by a microphone and overheard by journalists. The visit to Lithuania is also likely to include trade discussions. Lithuania has been a customer of Israel's key defense industry and has spoken of expanding its cyber-security sector, a particular specialty of Israeli firms. Nine EU member states, including Lithuania, recently announced their intention to create "rapid reaction teams" to respond to possible cyber threats, as part of a new EU defence pact. Many Israelis have origins in Lithuania and Netanyahu will visit with members of the Jewish community as well as attend a ceremony in memory of the 141,000 Jewish victims of the Holocaust there. Lithuania's 2.9 million population today includes some 3,000 Jews. Netanyahu has said one of his grandfathers was born in Lithuania.